Gatlinburg and Pigeon Forge have incredible kids attractions that educate and entertain at once. Kids and adults as a family can experience the wonders of history, science, and record-setting human feats at these top venues for fun, family field trips. Kids full of energy? Give them the big adventure of being here in Gatlinburg and Pigeon Forge. Even getting around is fun – families in the know hop on the Gatlinburg and Pigeon Forge Trolley and skip the traffic. 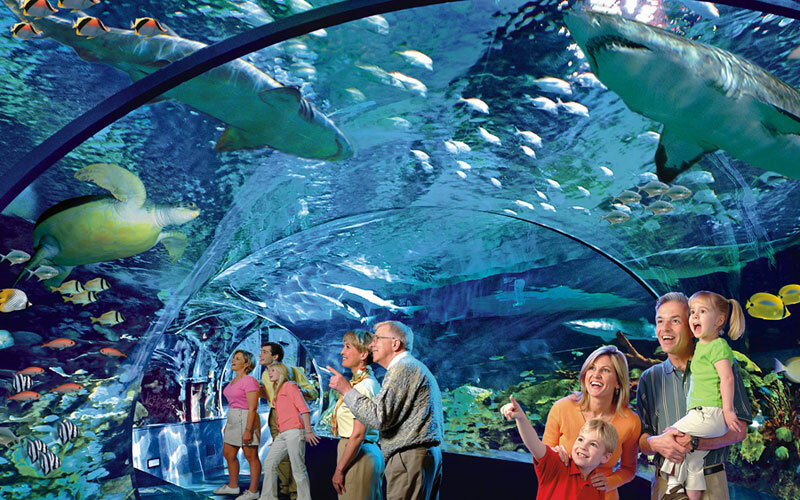 Located on Parkway in downtown Gatlinburg, and a central stop for all the trolleys, Ripley’s Aquarium of the Smokies offers an absorbing experience of several different ocean environments. A spectacular underwater tunnel threads through the enormous aquarium teeming with 12-foot sharks, giant sea turtles and schools of beautifully colored fish. Penguins bring a smile in their Penguin Playhouse and kids can surface through undersea tunnels to get nose-to-beak personal with them. In the Discovery Center and Touch-A-Ray Bay exhibit, kids get hands-on with fascinating critters like horseshoe crabs and stingrays. Instructors at each exhibit provide background info and answer questions. Kids are engaged for hours at the aquarium – which even hosts kid’s birthday parties. See our full story on Ripley’s Aquarium of the Smokies. You’ll be transported to ancient times. Moving and educational, the Christ in the Smokies Museum and Gardens tour includes 3D dioramas, life-size figures and immersive settings of a re-created ancient world. Kids get a fascinating look into the Holy Land from Biblical times. This highly acclaimed attraction brings the Bible to life in a meaningful way. See more in our article: Christ in the Smokies Museum and Gardens. This is part of the Ripley’s Believe It Or Not collection of the extreme and unique. Kids get to see the Guinness World Records book come to life with over 20 interactive displays and games, as well as videos and themed galleries. They can even try to break a world record in the Largest Interactive Challenge Gallery (is that a record?). See the website for more information. Located in Pigeon Forge, this fantastic field trip explores math, science and art. WonderWorks will transport your kids into the realm of the unknown as they climb to great heights both mentally and physically. There is an indoor ropes course 50 feet off the ground and kids can even experience a simulated 6.0 magnitude earthquake. Within Professor Wonder’s laboratory, kids can engage with around a hundred hands-on exhibits. There are plenty of sights that amaze, from the upside-down front entrance to the hurricane winds, and getting to walk inside a real, life-size bubble. At Space Discovery WonderZone, youngsters can climb inside a NASA spacesuit and sit inside a space shuttle flight simulator. 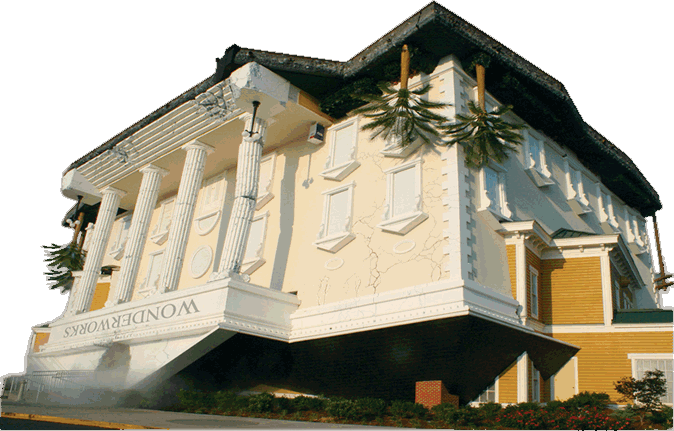 See our full story about WonderWorks. MagiQuest is also one of the many Free Tickets we offer to our guests in our Trip Cash book of Free Coupons. Gatlinburg and Pigeon Forge are known for their fun attractions, but home-schooling parents and teachers with school groups also think of them in terms of lively field trips for their children. Letting kids learn about life and the world in fascinating ways filled with fun and excitement is one of the great gifts that these two bustling towns offer families. See Part 2 for Things To Do With Kids in the Smokies – Outdoor Adventures. TIP: Did you know that we offer a coupon book to our guests worth more than $400 in free tickets to many of the best attractions in Gatlinburg and Pigeon Forge? 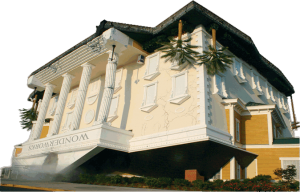 See the full story in our Pigeon Forge Coupons page.